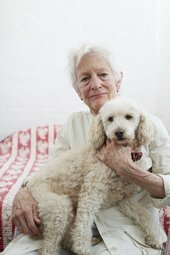 Hero to a generation of younger artists, Joan Jonas is a pioneer of performance and video who has pushed the boundaries of art for the last five decades. Experience the largest exhibition of Jonas’s work ever held in the UK. Early works from the late 1960s are shown alongside recent installations dealing with topical themes such as climate change and extinction. You can see her landmark installations including Lines in the Sand, The Juniper Tree and Reanimation. For the first time at Tate Modern, a single artist’s work is explored in the exhibition galleries, and in film screenings in the Starr Cinema and installations in the Tanks – an experimental exhibition for an experimental artist. Joan Jonas will also perform live alongside other artists as part of the BMW Tate Live Exhibition: Ten Days Six Nights programme.